LEGO Fan and Flickr.com member Jme Wheeler has recently shared his latest MOC. He used Indominus Rex from Jurassic World in a snowy condition. It seems that somebody is successfully tamed Indominus Rex to ride on. It also protect his owner from wildlife. 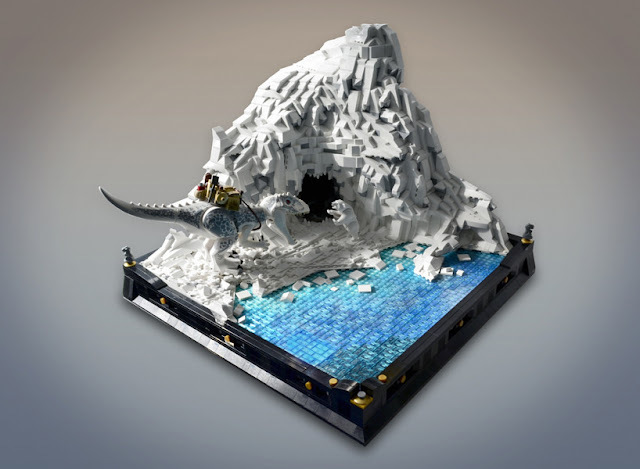 I also liked the snowy mountain which includes a small cave in it.